*At 17, most of us were excited to end one chapter of our lives and getting ready to embark on the exciting journey to college. 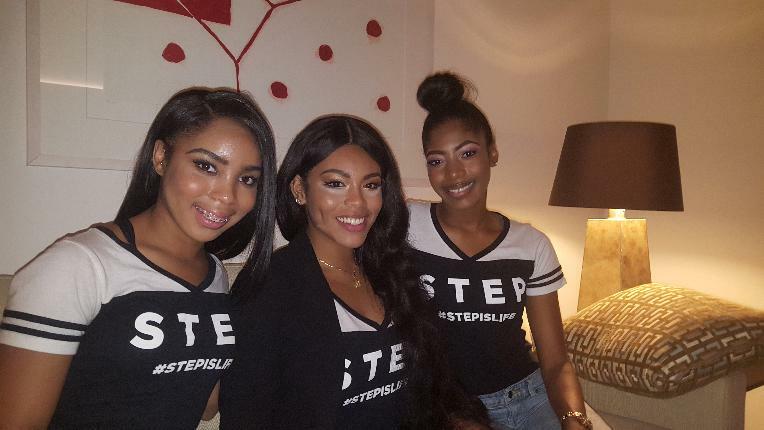 “STEP” shows us how 3 young Baltimore women close out their high school chapter. Let’s just say the term ‘with a bang’ doesn’t give them due justice. Blessin Giraldo, Cori Grainger and Tayla Solomon were able to experience their senior year documentary style as they prepared for the biggest moment of their life to date: the step competition. The ladies sat down with EURweb associate Nicole Collins to discuss the success of the film. Their friendship off camera is just as strong as it is on camera. And their steps remain in their head as they mark a routine. Blessin Giraldo explains what’s been her favorite part of the press tour. “It’s not hard to keep up what you believe in. You have to lead by example.” According to Tayla Solomon “things may change when the movies comes out. I am going to remain the same but people are really supportive and they tell you that they are proud of you. “STEP” is currently playing in select theaters/cities. For MORE info on the film, go HERE.